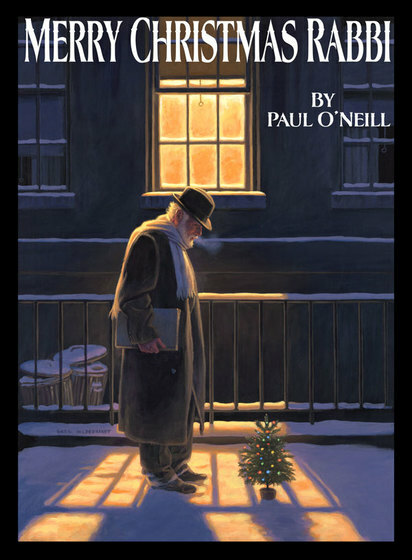 This year with your ticket you will receive an Amazon Kindle e-Book version of TSO Creator Paul O’Neill’s first novella, “ Merry Christmas Rabbi.” which will be released on Tuesday, November 26TH, 2013.If you want to read "Merry Christmas Rabbi" but don't have a Kindle? You can read the eBook on your computer, smartphone or tablet using one of the free Kindle Reading Apps. “Merry Christmas Rabbi” tells the story of a fateful Christmas Eve and how one of the craziest gambles in human history leads to a second chance for a troubled youth who finds himself beyond the point of no return. In this novella, Paul O'Neill spans generations, from WWII Germany to the modern inner-city, and fearlessly dives into the darkest places of the human condition to spin a modern parable about how, even in the grip of great evil, redemption is possible and the spark of hope can burn brightly. After you purchase your tickets you will receive an email confirmation with your order number as usual. Your download code for the eBook, however, will not be sent out until later. A few days before the official release date for "Merry Christmas Rabbi" you will receive an email with your redemption code(s) along with instructions about how to redeem your download. You get a download for every ticket you buy so don’t forget to share the book with your friends.